Catskill Creek forms in Schoharie County and flows 37 miles before it enters the Hudson River at Catskill. 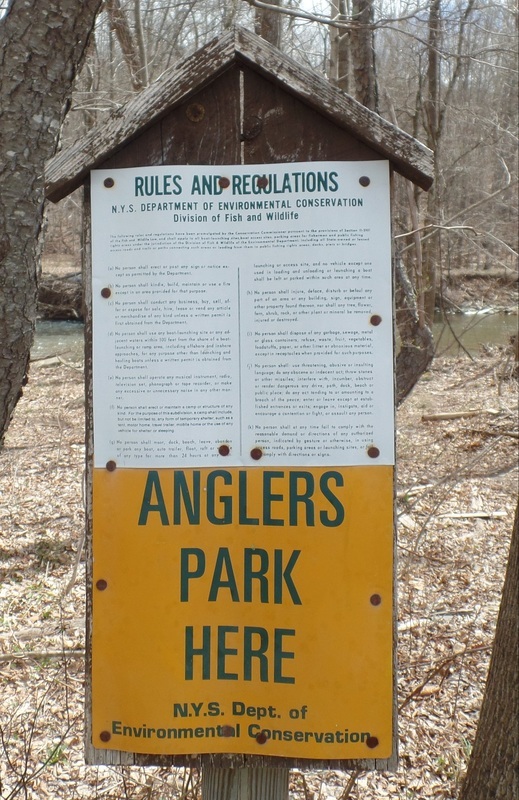 The portion in Preston Hollow, along State Route 145 in Rensselaerville, has public fishing rights on both banks and contains wild and stocked trout. 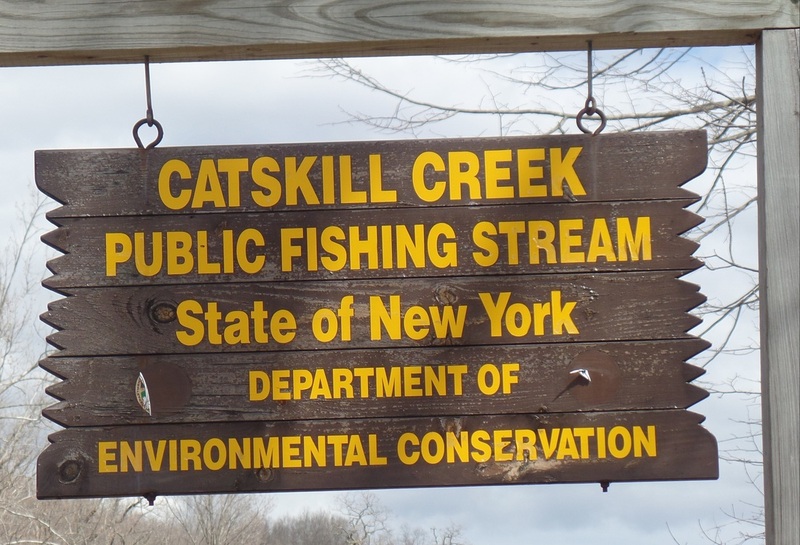 Statewide fishing regulations apply to all portions of the Catskill Creek watershed. More information here. For Preston Hollow, see maps 3 and 4 at NYS Department of Environmental Conservation site. A small parking area on Route 145 between Preston Hollow and Cooksburg, town of Rensselaerville. 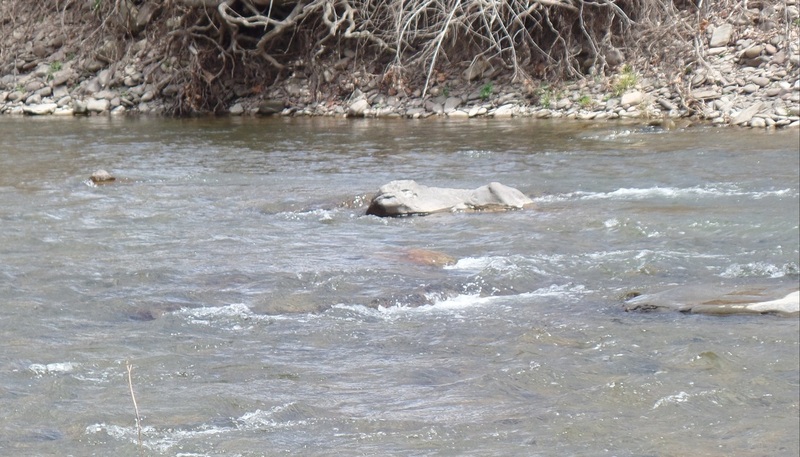 The waters of Catskill Creek flow placidly this spring day. 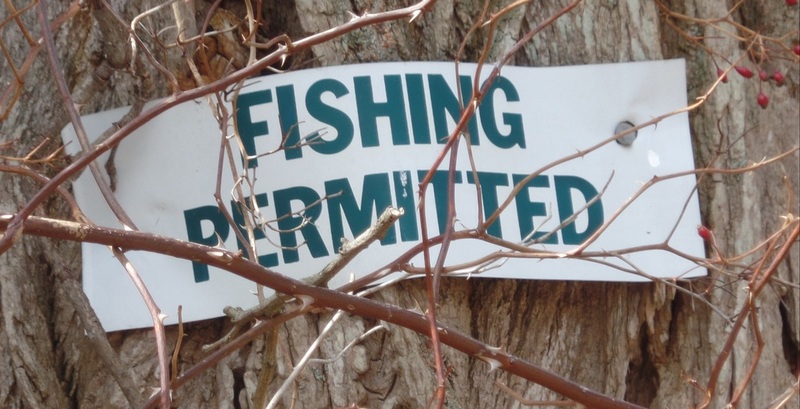 Fishing is permitted along the creek in Preston Hollow. This sign is at Bayard Ellsbree Memorial Park on Route 145. In 2011, Tropical Storm Irene devastated the area as Catskill Creek overflowed its banks. 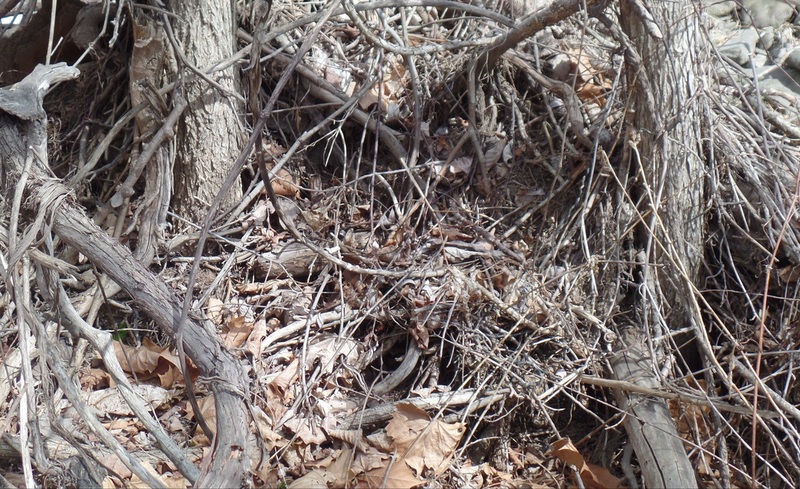 Downed trees and brush debris are still visible.